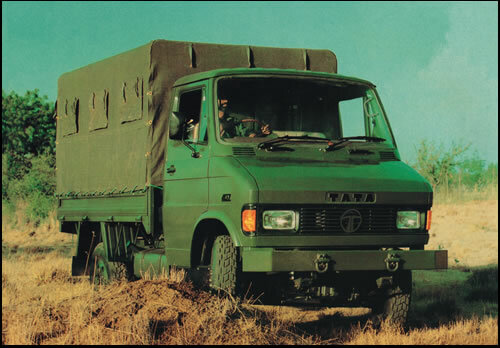 Role: Cross Country Operations with 1 ton payload. Clutch: Single Plate Dry friction type. Axles: Both live axle and differential lock provided. Brakes: Vacuum assisted independent Hydraulic brakes. Steering: Mechanical (Optional – Hydraulic Power Assisted Steering). Variant: GS role, Hard Top Troop Carrier.